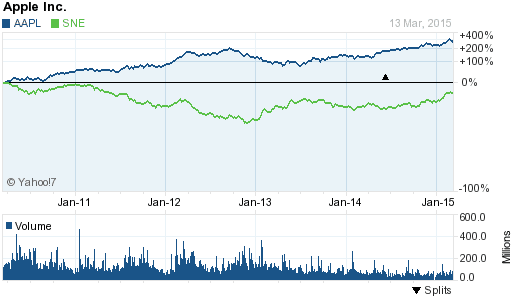 Artremis Capital: Sony (SNE) catching up with Apple (AAPL)? 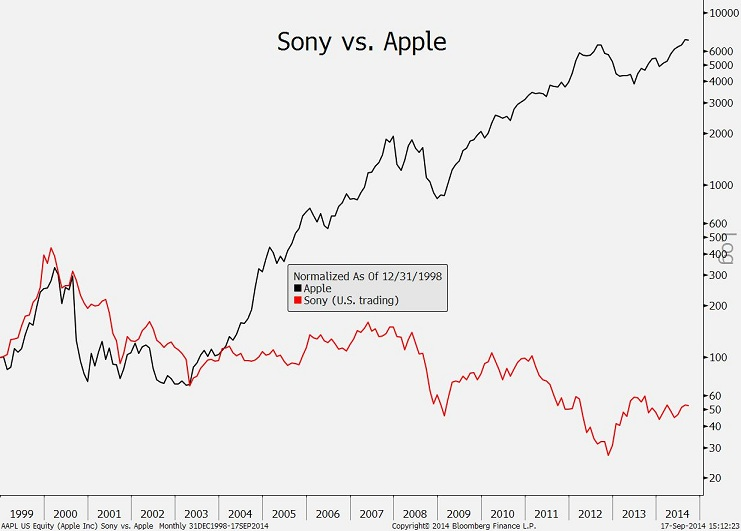 Sony (SNE) catching up with Apple (AAPL)? 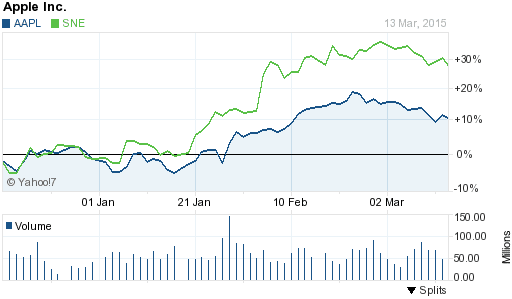 Sony (SNE), the Japanese consumer-electronics company, vs California-based Apple Inc. (AAPL), the maker of the iPhone. Sony fell behind in 2004, as a shift to digital music spurred a transition toward Apple’s iPod player and away from Walkman devices. The iPod was later supplanted by the iPhone. The smartphone accounts for more than half of Apple’s revenue. Stock performance since 1999, when an Internet-driven rally in share prices was near its peak. 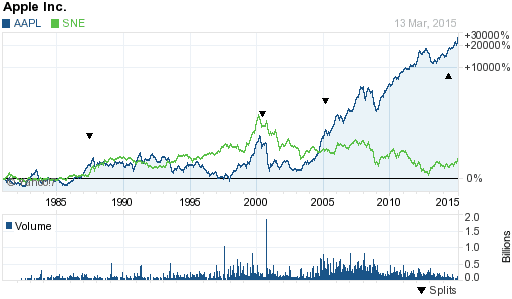 Sony dropped 46% while Apple gained 6600% since 2004. Sony took an accounting charge of 180 billion yen ($1.7 billion) this fiscal year, ending in March, on its Sony Mobile Communications Inc. unit. The amount surpassed the 1.05 billion euros ($1.4 billion) spent in February 2012 to buy a 50 percent stake in the business from Sweden’s Ericsson AB. The company halted dividend payments, which had been made annually since Sony went public in 1958.